Sleek, lightweight, and easy to operate, the Scout V2 sets a new standard for affordable single-shot hunting rifles. The Scout V2 sports a 25” fluted barrel that is constructed of 416 grade stainless steel. 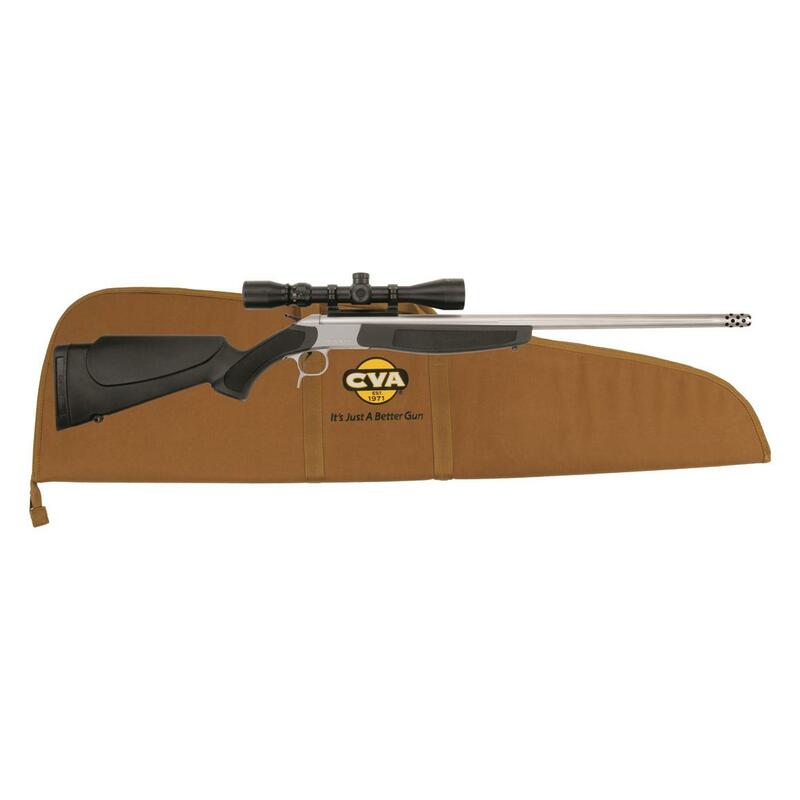 The stock is lightweight and 100% ambidextrous, and it feature CVA’s CrushZone Recoil pad — a real plus for heavier calibers. All Scout V2 rifles feature a genuine DuraSight ®DEAD-ONTM one-piece scope mount as standard equipment. This model comes complete with a KonusProTM 3-9x40mm Scope featuring an unbreakable glass-engraved 30/30 reticle. The multi-coated optics provide enhanced light transmission, and finger adjustable turrets are easily dialed in, even with gloved hands. As with all Konus scopes, they are nitrogen purged for true waterproof and fogproof integrity, as well as being shockproof. Barrett Model 99, Single Shot, .50 BMG, 29"